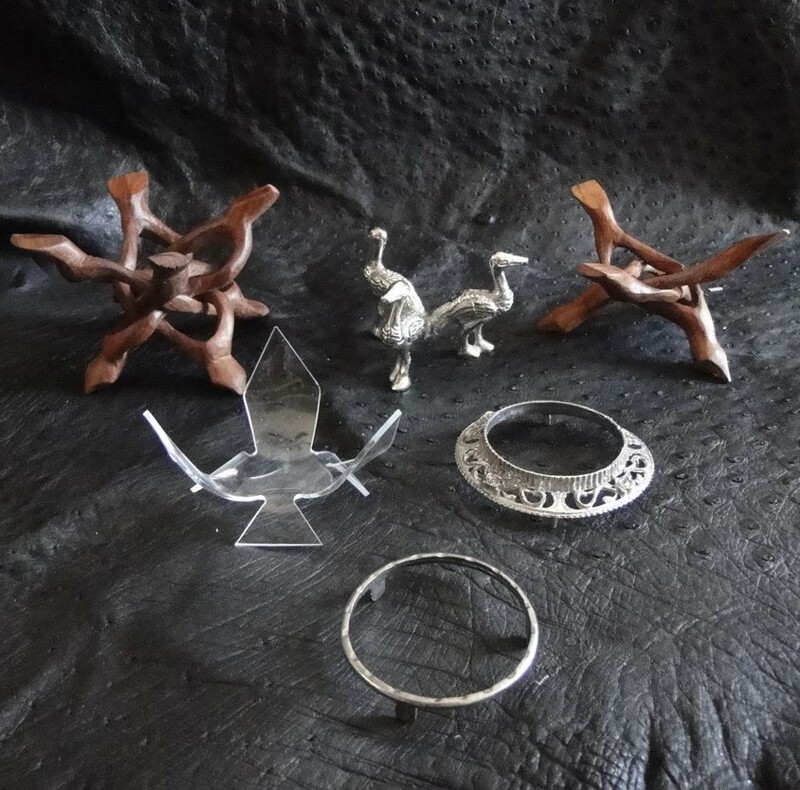 Our previous online store is no longer active, however, our classic ostrich products are still available for shipment. Most everything will ship Priority Mail via USPS, excluding the 6 and 12 eggshells, which ship via UPS. Below is a list of the products we can ship and their prices. To order, please email us with your order and contact information at info@roostercogburn.com or call Toni at 520-252-3156. An ostrich feather duster is the only duster in the world that actually picks up dust. Other dusters just move the dust around. What makes ostrich feathers so special is they capture the dust in the barbs of each ostrich feather. Plus they are super fluffy which provides more barbs for more dust to be collected. These dusters are safe to use on a variety of surfaces such as electronics, blinds, TV screens, small breakables, etc. There is no need to add any product to the feathers before dusting; an ostrich feather duster should be used as is, all natural! Looking for a unique gift idea? 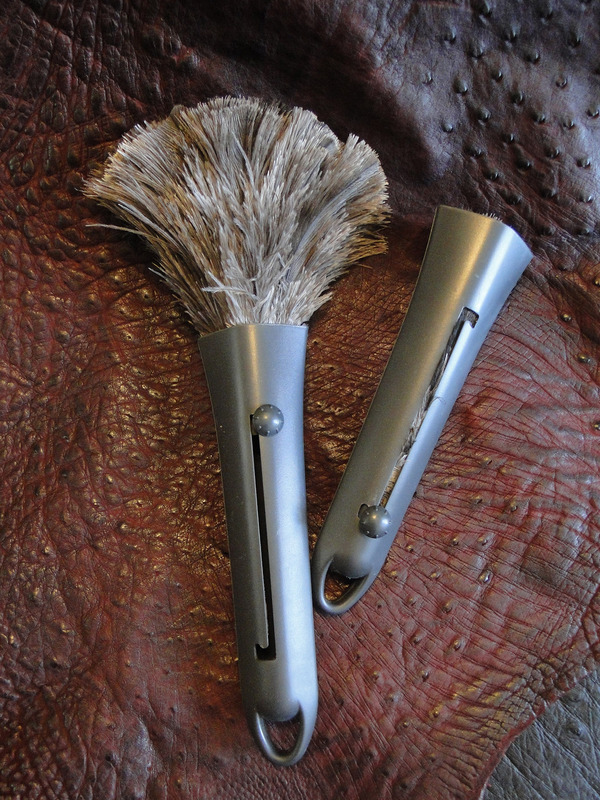 What better gift to give than the gift of elegant, easy dusting. Not to mention the ostrich feathers are so beautiful. 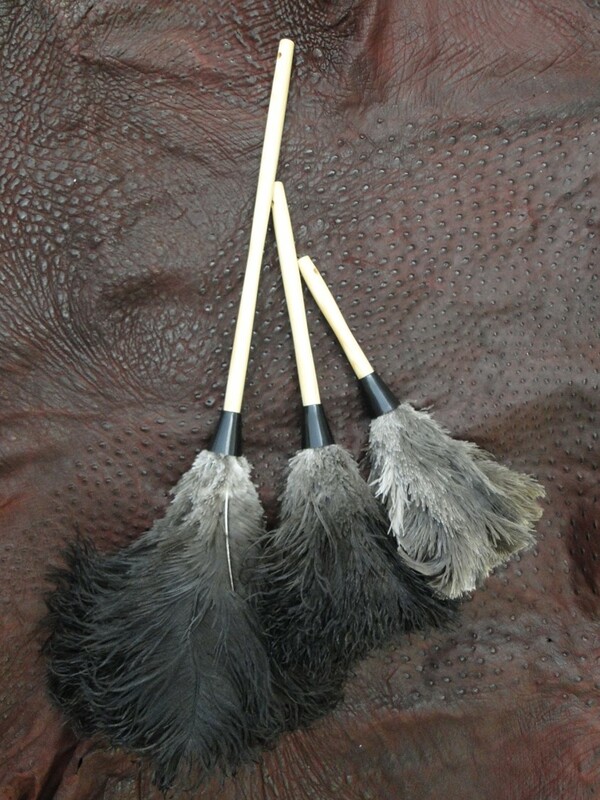 These dusters are made with male black ostrich feathers and have a finished wooden handle. 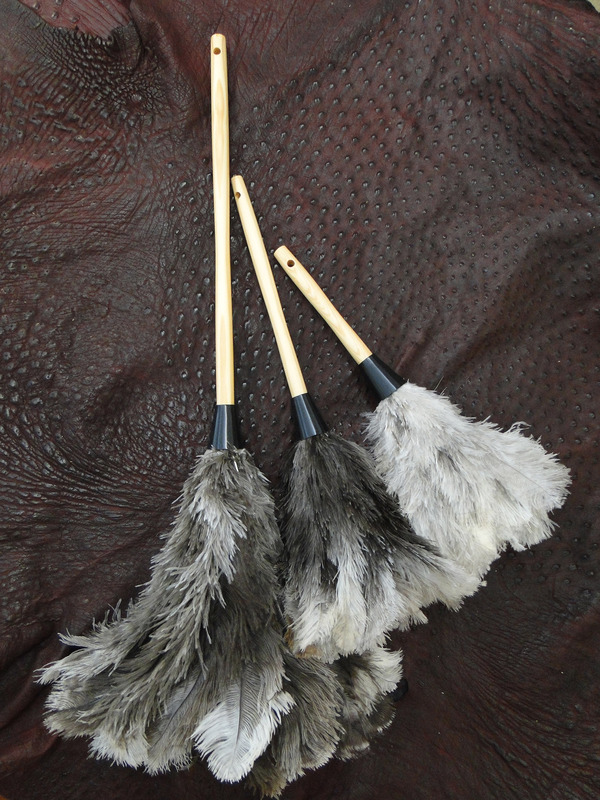 These dusters are made with grey and white blondine ostrich feathers and have a finished wooden handle. These feathers are incredibly soft and fluffy. This duster is made with black, male ostrich feathers and has a sturdy plastic handle that extends from 15 inches to 20 inches. This duster is made with white ostrich feathers that are found on the underbelly of the ostrich, which they use to incubate their eggs when they lay on their nest. They are incredibly soft. 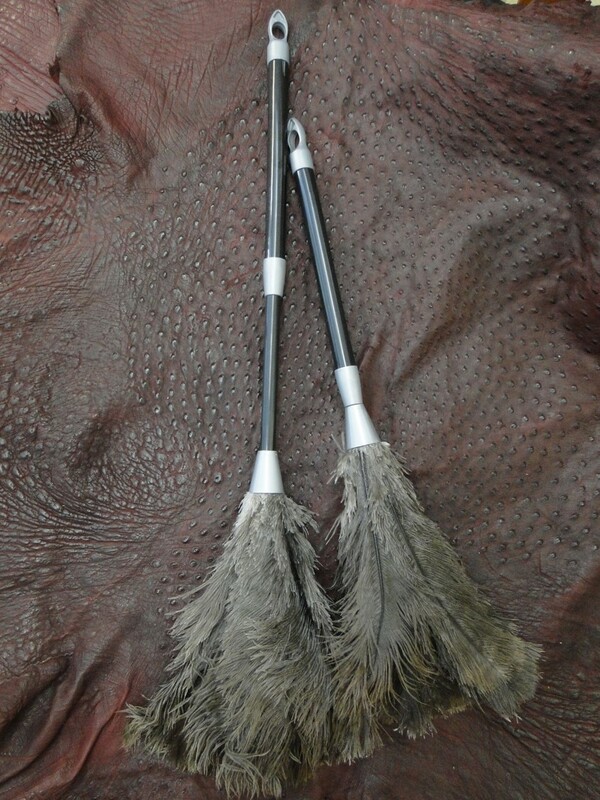 This duster is made with black, male ostrich feathers and expands and retracts into a sturdy plastic travel case. The Egyptians and Romans used ostrich oil more than 3,000 years ago and references to the benefits of ostrich oil are documented as far back as the first century, A. D. Ostrich oil contains a high concentrate of healing Omega essential fatty acids (Omega-3,6, & 9). 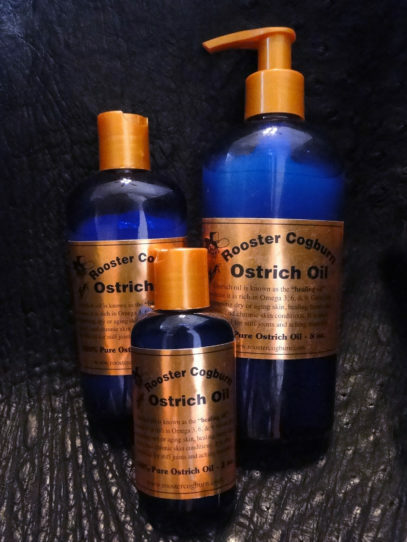 These all natural skin moisturizing and conditioning properties make ostrich oil ideal for today’s skin care. It absorbs quickly and provides luxurious moisture for hours. Uses include dry skin, eczema, burns, stretch marks, wrinkles, face moisturizer, rashes, arthritis, sore muscles, and so much more! Our ostriches are fed a vegetarian, all natural feed so there is no introduction of animal by-products, growth hormones or antibiotics in the oil. This means the pure natural oil is great for your skin. A special triple filter process insures you get the best of the best product. Ostrich egg shell is the largest and thickest shell in the world and because an ostrich is a descendent of the dinosaur, this truly is a modern day dinosaur egg. The ostrich hen applies a coating on the egg right as it is laid which gives it a “glossy or “finished” appearance and protects it from bacteria. All ostrich egg shells from Rooster Cogburn Ostrich Ranch are “homegrown” and are laid by ostrich hens here at the ranch. These beautiful ivory colored shells make an elegant decoration just by itself or can be used for a unique medium for crafts. Artists have found the ostrich egg to be a perfect canvas for painting and carving. The thick shell makes them easy to work with. 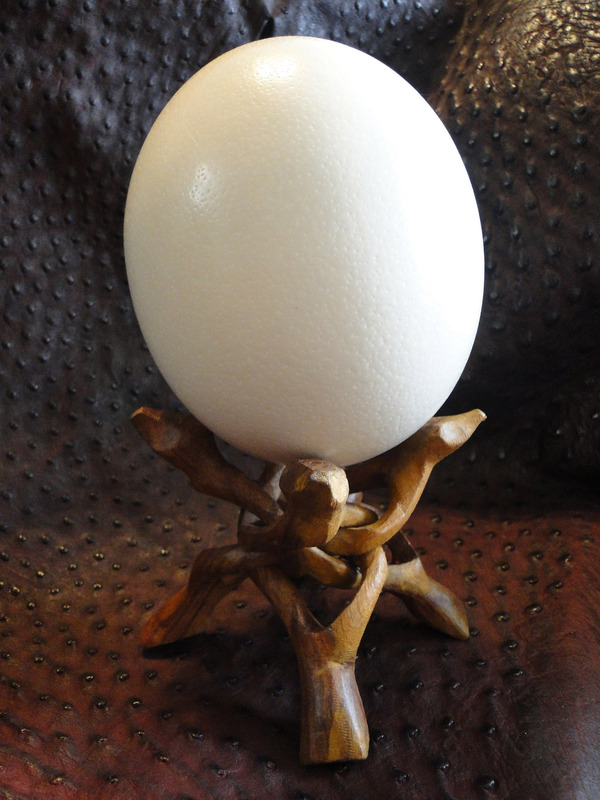 Imagination is the only limit to the variety of different craft ideas that can be used with an ostrich egg. These shells also make for the perfect, unique gift for that personal who “has everything”.